This is the first of a new series of interviews of authors of books on various topics related to parapsychology. I am happy to start with a long-time friend and colleague Dr. Emily W. Kelly, whom I met in 1982. Emily is an Assistant Professor of Research at the Division of Perceptual Studies, which in turn is part of the Department of Psychiatry and Neurobehavioral Sciences at the University of Virginia. This Division was founded by Dr. Ian Stevenson, well-known for his interest and research on the issue of survival of death, and the study of cases of children claiming to remember previous lives, as well as other phenomena. 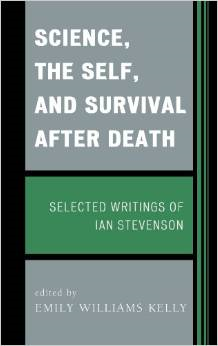 The book discussed here, Science, the Self, and Survival After Death: Selected Writings of Ian Stevenson (Lanham, MD: Rowman & Littlefield, 2013; see the table of contents here; to order click here), is a compilation of many of Stevenson’s writings. But what makes the book particularly valuable, and what helps us understand Stevenson better, are the essays Emily writes. Her essays provide a context in which she offers information on and discussions of Stevenson’s life and the principles that guided his interests and research. In addition to this book being a fine introduction to many aspects of Ian Stevenson’s work, the book is also an excellent tribute, a well-deserved honor for a man who gave us so much. It is the type of book that I would like to see for other important figures in parapsychology. The book is an introduction to the work of Ian Stevenson (1918–2007). Many people know Dr. Stevenson primarily as the person who originated, and then carried out the vast majority of research on cases of young children who seem to remember a previous life. In fact, this research was only part — albeit a major part — of a career in which Dr. Stevenson tackled large questions about human personality with numerous lines of research. This volume is intended to give readers a sense of the purpose and scope of his work. The book begins with a biographical essay by me, followed by an autobiographical essay by Dr. Stevenson. It is then divided into 5 sections, which include papers or excerpts of papers by Dr. Stevenson, with brief introductory remarks by me. The first section, “New Ideas in Science,” includes 2 papers on the basic nature of science and the difficulties of getting a fair hearing for new ideas in science. Section 2, “The Nature of Human Personality,” turns to Dr. Stevenson’s dissatisfaction, stemming from his earliest days in medicine, with views of human personality as being produced solely by the brain and body. Papers in Section 3, “Psychical Research: Principles and Methods,” deal primarily with the theoretical importance of studying psi in its natural setting, that is, as spontaneous experiences. Section 4, “Research on the Question of Survival after Death,” is the largest section and includes reviews and reports of cases investigated by Dr. Stevenson, including apparitions, deathbed visions, out-of-body experiences, near-death experiences, mediumship, cases of the reincarnation type, maternal impressions, possession, and xenoglossy. Finally, the volume closes with some reflections by Dr. Stevenson on some implications of his research, a concluding review by me, and a bibliography of Dr. Stevenson’s published work. I have been working in the field since 1978, when I first went to work at the University of Virginia’s Division of Parapsychology (as it was then called), and, except for my years as a post-grad at the University of Edinburgh, I have been there ever since. My interest has always been in survival research and the spontaneous experiences that people have related to that, and so my research has focused on near-death experiences, cases of the reincarnation type, mediumship, and deathbed visions. In my graduate work at Edinburgh, however, I concentrated on historical studies, primarily of F. W. H. Myers and his contributions to psychology, because I wanted to broaden my understanding of the larger issues behind survival research, especially about how best to translate the philosophical problem of the mind-brain relationship into empirical research relevant to questions such as survival. In more recent years therefore I have focused more on writing about what I see as the role psychical research can and should play in the larger arena of research on the nature of consciousness. Can you tell us about your contact and work with Ian Stevenson? My contact with Dr. Stevenson began when I went to work as his research assistant at the University of Virginia in 1978. At first my work consisted primarily of editorial work on his papers and books — but, with the superb nature of his writing, that meant little more than correcting missing or misplaced commas! Fortunately, in those days before the Internet, I was kept busy for long hours in libraries searching for books and articles related to the research. As I learned more about the field, Dr. Stevenson entrusted me with data analysis and, most interesting to me, investigating cases on my own, including cases of the reincarnation type in Lebanon and near-death experiences in the USA. Always thinking about the future of the field and the need for new blood, he encouraged me, as he did so many others, to balance my unorthodox interests with orthodox professional qualifications. Throughout my graduate school years, and thereafter until he died, we continued to work together on research and writing projects. Everyone should be as lucky as I to have had such a constant source of knowledge and inspiration. My motivation to produce this volume stemmed primarily from my belief that most people’s perceptions of psychical research in general, and of Dr. Stevenson in particular, are much too narrow. The field of psychical research is often perceived as the study of strange anomalies that don’t fit into an otherwise pretty orderly scientific picture. In my view, nothing could be further from the truth. The phenomena associated with our field provide just one indication that contemporary science is not yet accommodating consciousness very well. Similarly, many people associate Ian Stevenson primarily with reincarnation research only, without necessarily understanding the larger context out of which that body of research grew. This volume is an attempt to provide that larger context. Would you care to speculate about Ian Stevenson’s contributions and influence on parapsychology and the study of consciousness in general? One could readily point to the vast amount of empirical data that Dr. Stevenson has left for future researchers and theoreticians to work with and build on; or the meticulous standards he set for investigating and reporting cases; or his insistence that any field that ignores its “ethology,” or naturally occurring phenomena, and relies primarily or exclusively on the artificially produced phenomena of the experimental lab is doomed to failure. But I think one of his most important contributions may well turn out to be his lifelong determination to steer a middle course between often rigidly polarized positions, challenging entrenched assumptions on both sides in an effort to dig deeper into the underlying issues and questions. He told the funny story on himself that, after he published in 1957 a paper challenging the premise of psychoanalysis — then dominant in psychiatry — that human personality is formed primarily in infancy and early childhood, a colleague asked him if he was able to walk the streets unarmed. More generally, his work challenged the increasing polarization we find ourselves in today, between physicalist scientism and religious fundamentalism — both of which, in fact, are built on assumptions that their adherents rarely, if ever, question. 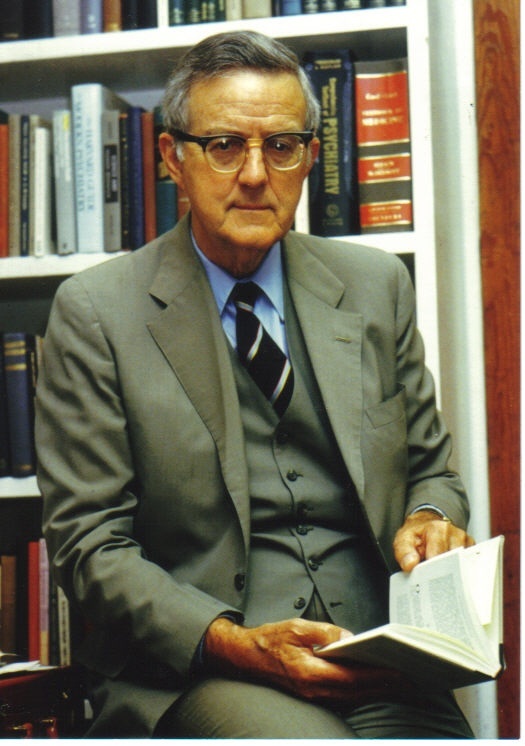 Dr. Stevenson’s work shows the possibility of bridging the gap between these positions, in that he applied the empirical methods of science to the essentially religious questions about the origin, nature, and destiny of human personality. I hope that what I have already said about Dr. Stevenson and his work explains why I think this volume is important. My main goal was to present his work in the context of the large theoretical questions that guided him throughout his career in medicine, psychiatry, and psychical research. I hope the book might help refocus current workers in the field on those large issues, and also provide a launching point for newcomers to the field wanting a broad understanding of the importance of this research.